Why do articles about the great outdoors frequently appear in my blog posts? It is because the national and state parks are vacation bargains and scenic. Soaring gas prices are hurting everyone and a lot of people are considering vacations that are close to home. State and national parks have a lot to offer without breaking the gas budget. Here are three reasons why I enjoy state and national parks. Where else can you visit that costs little or nothing to get in? Entrance fees range from only a few bucks to nothing at all and parking charges are very, very rare. My family has been to national parks across the country and a few parks in Canada. So far, the only Mt. Rushmore has charged us a parking fee. Even that is less than than parking at some theme parks. Talk about vacation bargains! The first few times that my kids were on a peddle boat was at a park. Hiking, biking and swimming are often available. With the push about fitness fun for kids it makes sense to plan one of these cheap vacations. The national and state parks just travel bargans but they also encourage kids to go outside for a little while. There are several state and national parks that are near my home. My family can be at any of several sites within 30-45 minutes or less. Driving the Cherohala Skyway or visiting part of the Great Smoky Mountains gives me the illusion of being miles away from home. I feel far away but am close enough to home that gas prices won't keep me home. We already know that national parks are vacation bargains, offer recreation and fitness opportunities and save on gas. The main reason why I enjoy this kind of vacation is the family bonding. Roller coaster rides are fun and so are days at the beach. 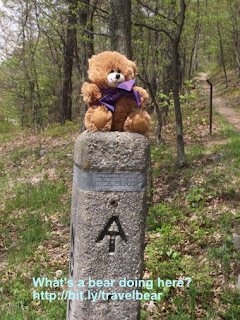 However; they usually don't top walking on the Appalachian Trail, watching a mama bear and cubs from a safe distance or seeing a hawk searching for dinner. I can buy a day at a theme park but I can't buy these moments. To me, that's why national and state parks are top vacation bargains.